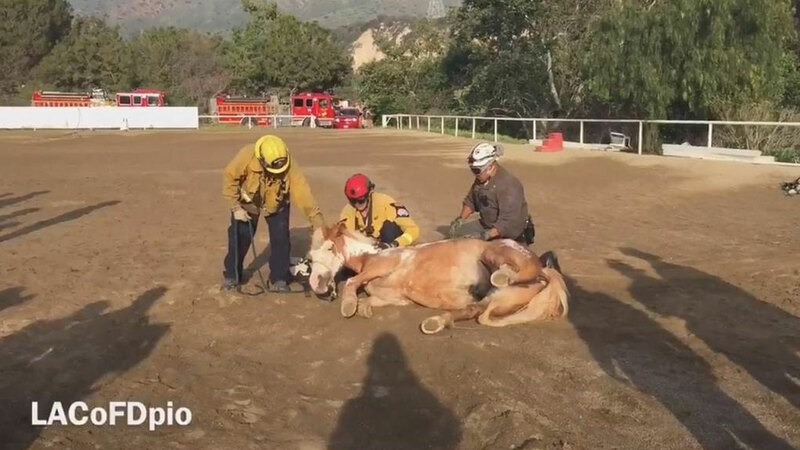 SYLMAR, LOS ANGELES -- Los Angeles County firefighters helped rescue a horse that fell down into a ravine in Sylmar. A helicopter hoist was used to lift the horse out of the ravine near Marek Motorway and Little Tujunga Canyon Road Saturday afternoon. Once the horse was out, medical professionals and firefighters assessed the animal for injuries before releasing it. It quickly got back on its feet and was "talking" in no time, fire officials said.